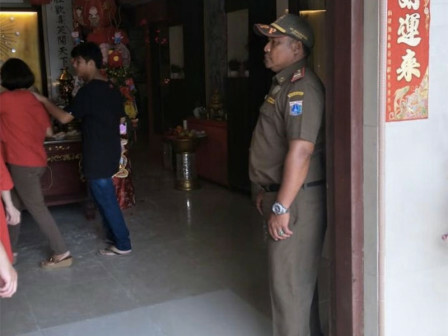 115 personnel of Satpol PP are sent to smoothen the celebration of Imlek (Chinese New Year) in five monasteries, entertainment places and shopping centers in North Jakarta.
" Each monastery has five personnel who are on standby from morning to night"
North Jakarta Satpol PP Head, Rony Jarpiko said that those have been on standby since February 1. "Each monastery has five personnel who are on standby from morning to night. And the rest of them are placed in entertainment places, like Ancol and shopping centers," he expressed. North Jakarta Social Sub-department Head, Aji Antoko stated that 18 personnel of social control and control services (P3S) are also alerted in four monasteries. "Especially monastery in Ancol, we send eight personnel, as most crowded," he stated.